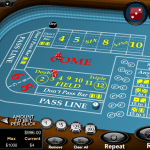 Specialty Game Casino Sites - Play Online Versions of Your Favorite Formats! Log in to any online casino site and the chances are good you’ll see the games organized by category. Most categories are self-explanatory. 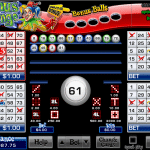 The slots category is full of slot machines, the video poker category is full of video poker machines and so on. Breaking up the games in this manner makes it easier for players to find exactly what they’re looking for. The specialty games category is the odd one out. It basically serves as the catch-all area for games that don’t easily fit into any other category. Games such as keno, bingo and scratch cards are often just lumped into the “specialty games” area because they don’t have a home anywhere else. Any time you’re in the mood for something different, take a trip to the specialty games category of your favorite casino site. You just might find a new favorite. It’s always nice to have options, so I’ve put together a list of the best casino sites for specialty games. If you’re looking for something new or different, consider visiting any of the above sites. These are all reputable brands that have been in the business for a long time. You’ll be treated well and get a chance to try casino games you don’t see every day. The term “specialty games” is open to interpretation so you won’t always see the same games inside the specialty area. Some casinos classify craps as a specialty game while others consider it a table game. A part of the fun is getting in there and finding out what your casino has on offer. Below is a brief overview of the games you’re most likely to encounter on your next visit to a gambling website. You may find all of these games, some of these games and other games that I haven’t even mentioned depending on where you play. 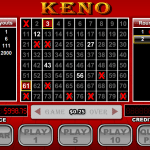 Keno: Keno is a well-known lottery-style game in which you choose anywhere from 4-10 numbers out of a total of 80 possible numbers. After you make your picks, the casino randomly draws 20 numbers. The more matches you get, the more you get paid. 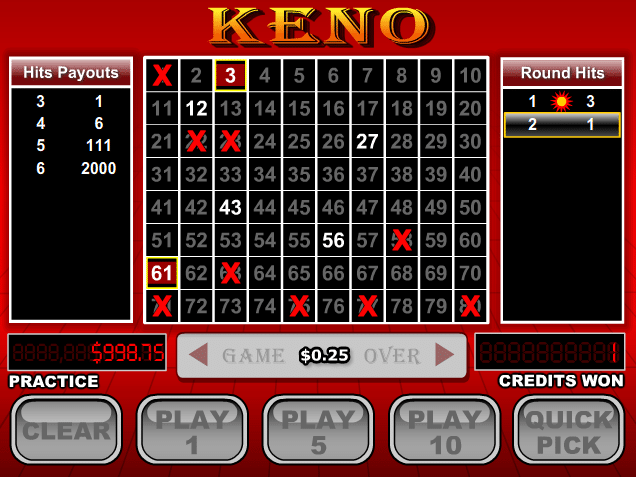 Keno is notorious for having poor odds, but it has some of the highest payouts in all of gambling. Bonus Bingo: Bonus Bingo is sort of a cross between the traditional game we all played as children and online keno. In Bonus Bingo, you get a 5×5 card filled randomly with numbers. You can “redraw” as many times as you’d like until you get a card that has your favorite lucky numbers. After you choose a card, the casino draws numbers at random. Any time a called number matches one of the numbers on your card, that spot is marked off on your card. Your goal is to mark off spaces such that they create a pattern and earn you a cash prize. 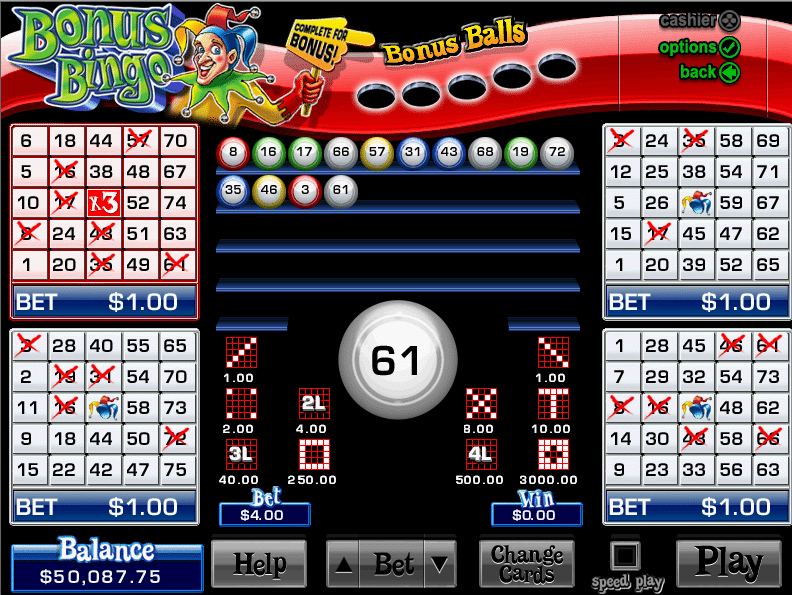 Bonus Bingo has additional features that multiply your payouts or give you additional opportunities to fill in spaces and win money. 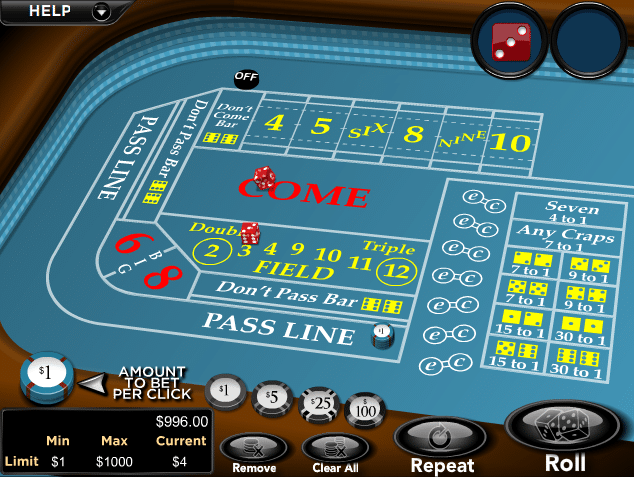 Sic Bo and Craps: Sic Bo and Craps are two different games but I’ve lumped them together because they are both dice-based games in which you try to predict which numbers will show after the dice are thrown. Some casino sites classify Sic Bo and Craps as table games. 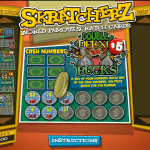 Scratch Cards: You may be pleasantly surprised to learn that most online casino sites have scratch card games that work just like the kind you can buy at any convenience store. All you have to do is purchase a scratch card and then scratch it off with your mouse pointer. 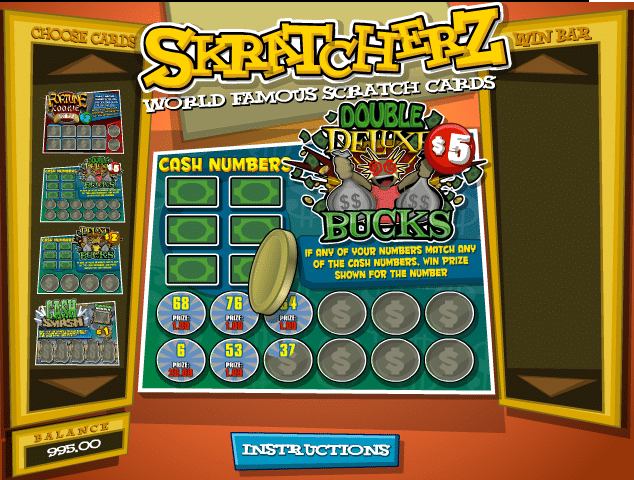 If the right symbols are revealed after scratching the ticket, you win an instant payout. Bonus Bowling: This game is mostly found at international betting sites. In this one, you can place a variety of wagers based on how many pins you think you can knock down when you throw the ball down the polished wooden lane. Bet on knocking over just a few pins for a better chance at winning or aim for the stars and bet that you’ll earn a strike and win a big payout. 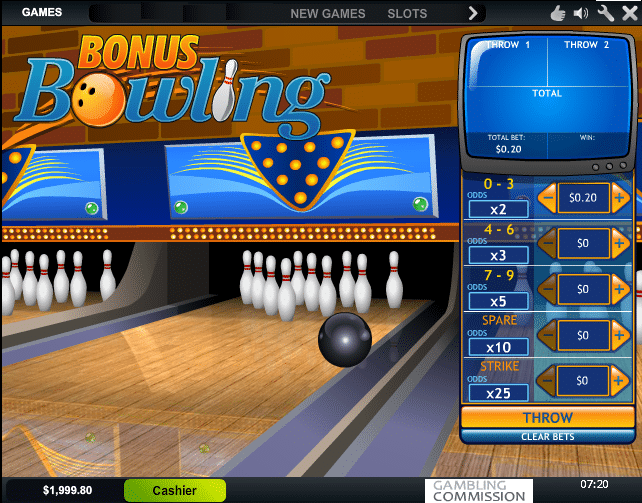 After you choose your wagers, hit the “throw” button and an animated bowling ball will go flying down the lane and knock down a random number of pins. This game always gives me an odd sense of satisfaction even though it’s all luck. 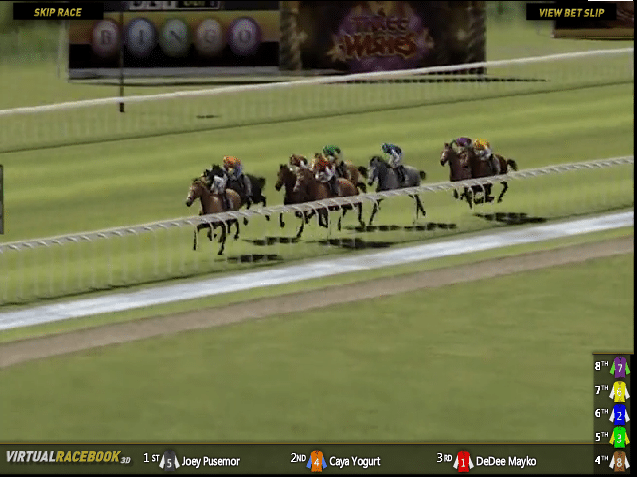 Virtual Horse Races: Virtual horse racing gives you a chance to bet on the ponies without making an expensive trip to the track. All you do in this game is pick your horse and watch the race run. Each horse’s payout odds are determined by that horse’s chances of winning. 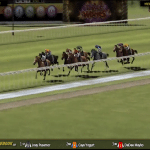 The computer randomly selects horses to win each race, but weight is given to those with the best odds. Pick the safest horses for easier-to-win wagers without lower payouts or back the longshots for the big payday. You’ll be treated to eye-pleasing graphics and can even review photo snapshots of the winners at the end of the race. Other Specialty Games: It’s likely you’ll encounter other specialty games that I haven’t covered on this page. Casino sites are always changing things and coming up with new games, so don’t be surprised if you find something completely new.